As today 106 years ago, Albania was declared an Independent Country and for this holiday of Albanians have come thousands of greetings from famous world characters. 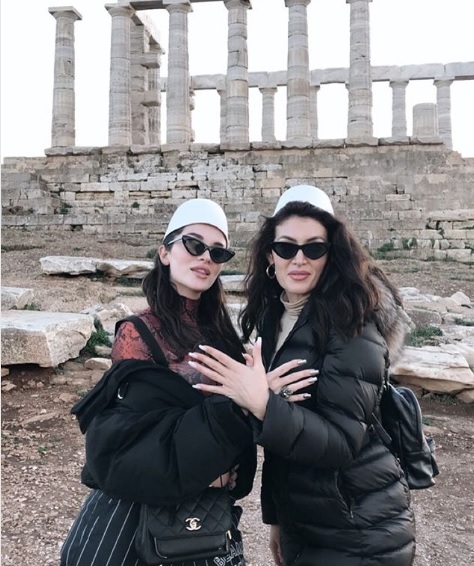 Among them stands the world-famous singer Era Istrefi, who together with her sister Nora Istrefi, who appeared with a 'plis' on their heads formed the symbol of the Albanian Symbol of the two-headed eagle. The picture was fired in Greece and was accompanied by the phrase "Proud Anywhere We are". We remind that Era Istrefi is now an internationally renowned singer after becoming well known with the release of the famous song "Bonbon" as well as of many other collaborations with renowned Dj and singers.